Airing date: February 28, 2016-? This entry was posted in > China, - Drama, First Impression, Recap, Review and tagged Alice Tzeng, Because of Love, Hai Lu, Jerry Yan, Jerry Yan 2016 drama, Jerry Yan Because of Love, Jerry Yan chinese drama on February 29, 2016 by dramarian. Just like my First Impressions post, I’m going to divide my drama review into different sections to make it easier for both of us! DISCLAIMER/NOTE: Since this is a review, I definitely won’t be spoiling anything because I believe that a review is mostly used by people as their basis/reference for doing (in this case, watching) something. It may either persuade or turn you off in watching this drama but I’m just here to provide my own opinions and other thoughts about it. This entry was posted in > China, - Drama, Review and tagged 2015 c-drama, C-drama, Jerry Yan, Jerry Yan 2015 drama, Jerry Yan chinese drama, Maggie Jiang, Mi Lu, My Best Ex-Boyfriend, My Best Ex-Boyfriend 2015 drama, My Best Ex-Boyfriend drama review, My Best Ex-Boyfriend Jerry Yan, My Best Ex-Boyfriend review, My Best Ex-Boyfriend series review, Ron Ng, Viola Mi on September 6, 2015 by dramarian. LAST RECAP POST OF “MY BEST EX-BOYFRIEND” EVER?! Wow, time surely does fly fast! Before anything else, I just want to thank all of you for patiently reading (and waiting!) my recaps and random thoughts. If it wasn’t for you, I wouldn’t have continued writing these recaps at all. I actually never intended to write one at first since I had no experience in writing one before and because I have also been very busy. But look where we are now, I’ve literally dropped anything else to watch and write about this drama all the way to its overwhelming number (42!!) of episodes! Special acknowledgement to Viki for subbing this drama as fast as lightning! 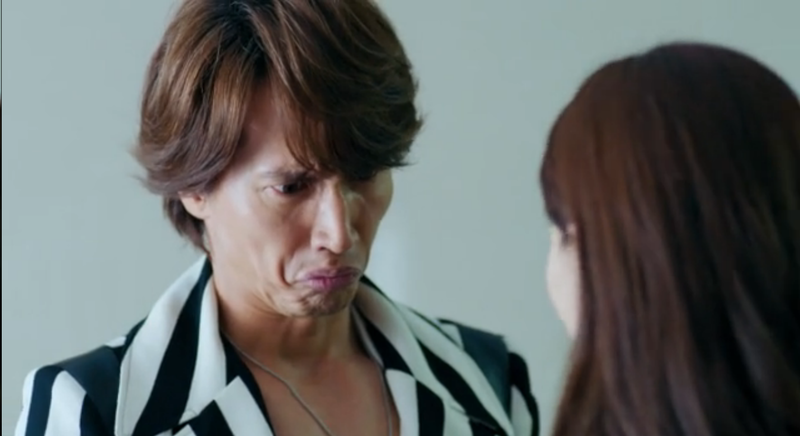 I seriously thought that Jerry Yan fans like me would have to wait for months or so before this gets subbed but wow, they managed to finish it even earlier than China’s release. So thank you so much, Viki! Thank you to the production team of “My Best Ex-Boyfriend” especially the cast and crew for making fans like me happy! I know that they may never get to see this but I still want to thank them for giving us a very enjoyable drama to watch. 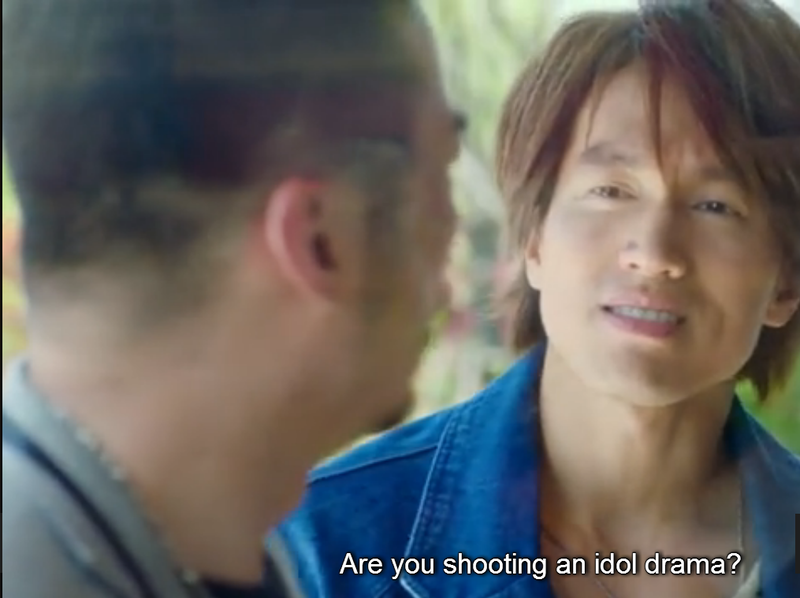 This entry was posted in > China, - Drama, Recap and tagged 2015 c-drama, C-drama, Jerry Yan, Jerry Yan 2015 drama, Jerry Yan chinese drama, Maggie Jiang, Mi Lu, My Best Ex-Boyfriend, My Best Ex-Boyfriend 2015 drama, My Best Ex-Boyfriend episode 41, My Best Ex-Boyfriend episode 42, My Best Ex-Boyfriend episode recap, My Best Ex-Boyfriend final episode, My Best Ex-Boyfriend Jerry Yan, My Best Ex-Boyfriend last episode, Ron Ng, Viola Mi on September 6, 2015 by dramarian. My face knowing that we’re nearing to the end of this drama! LOL. This entry was posted in > China, - Drama, Recap and tagged 2015 c-drama, C-drama, Jerry Yan, Jerry Yan 2015 drama, Jerry Yan chinese drama, Maggie Jiang, Mi Lu, My Best Ex-Boyfriend, My Best Ex-Boyfriend 2015 drama, My Best Ex-Boyfriend episode 39, My Best Ex-Boyfriend episode 40, My Best Ex-Boyfriend episode recap, My Best Ex-Boyfriend Jerry Yan, Ron Ng, Viola Mi on September 5, 2015 by dramarian. Some people are just too evil, while some remain unpredictable. Despite all the business matters/problems going on, our FangTang is just unstoppable! Read more if you want to find out what happened in episodes 37 & 38. This entry was posted in > China, - Drama, Recap and tagged 2015 c-drama, Jerry Yan, Jerry Yan 2015 drama, Jerry Yan chinese drama, Maggie Jiang, Mi Lu, My Best Ex-Boyfriend, My Best Ex-Boyfriend 2015 drama, My Best Ex-Boyfriend episode 37, My Best Ex-Boyfriend episode 38, My Best Ex-Boyfriend episode recap, My Best Ex-Boyfriend Jerry Yan, Ron Ng, Viola Mi on September 5, 2015 by dramarian. Everything is just getting intense and dramatic! Despite all that, there are still things to be happy about in today’s episodes! 😉 Read more to relive the dramatic and fun moments at the same time. This entry was posted in > China, - Drama, Recap and tagged 2015 c-drama, Jerry Yan, Jerry Yan 2015 drama, Jerry Yan chinese drama, Maggie Jiang, Mi Lu, My Best Ex-Boyfriend, My Best Ex-Boyfriend 2015 drama, My Best Ex-Boyfriend episode 35, My Best Ex-Boyfriend episode 36, My Best Ex-Boyfriend episode recap, My Best Ex-Boyfriend Jerry Yan, Ron Ng, Viola Mi on September 4, 2015 by dramarian. This recap post probably wins for having the most number of photos/screencaps because of: 1.) both episodes 33 and 34 just gave a lot of reasons to screencap which you’ll know if you decide to read more 2.) we’re slowly approaching towards the end of the series so all the possible happenings in the drama are starting to reveal (or have revealed) themselves. Our OTP just being adorable! This entry was posted in > China, - Drama, Recap and tagged 2015 c-drama, C-drama, Jerry Yan, Jerry Yan 2015 drama, Jerry Yan and Maggie Jiang kiss, Jerry Yan chinese drama, Maggie Jiang, Mi Lu, My Best Ex-Boyfriend, My Best Ex-Boyfriend 2015 drama, My Best Ex-Boyfriend episode 33, My Best Ex-Boyfriend episode 34, My Best Ex-Boyfriend episode recap, My Best Ex-Boyfriend Jerry Yan, My Best Ex-Boyfriend proposal, Ron Ng, Viola Mi on September 3, 2015 by dramarian.